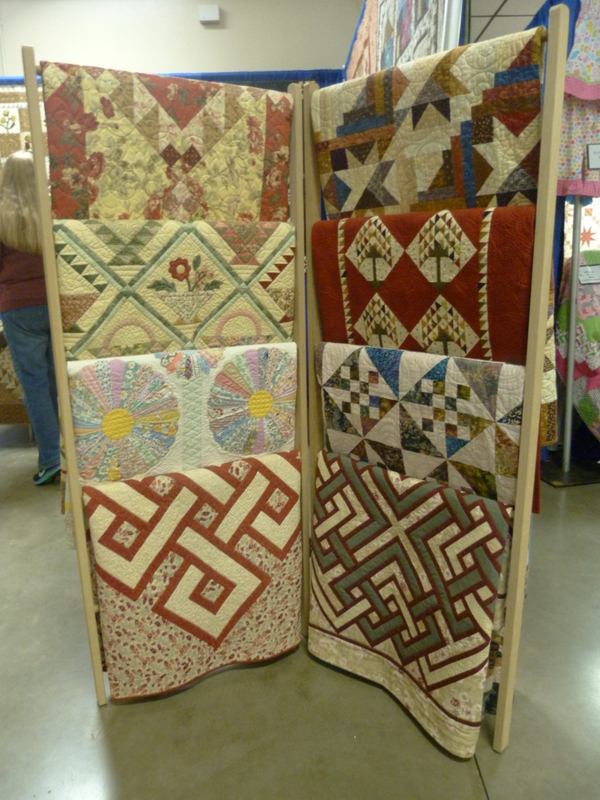 My local quilt guild, Kitsap Quilters’ Guild, recently held their annual show at the Kitsap Fairgrounds in Silverdale. 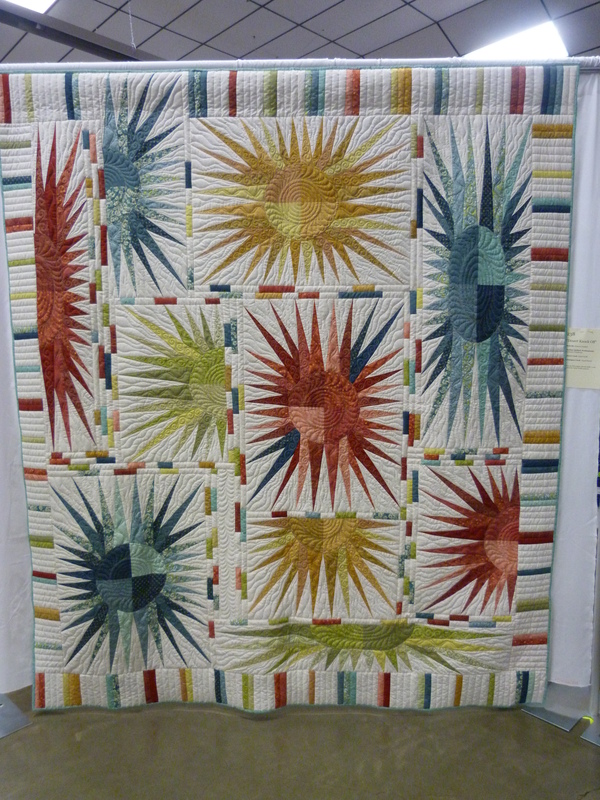 Last week I posted about our featured artist and this week I’m giving you a small sampling of quilt show entries that particularly appealed to me. 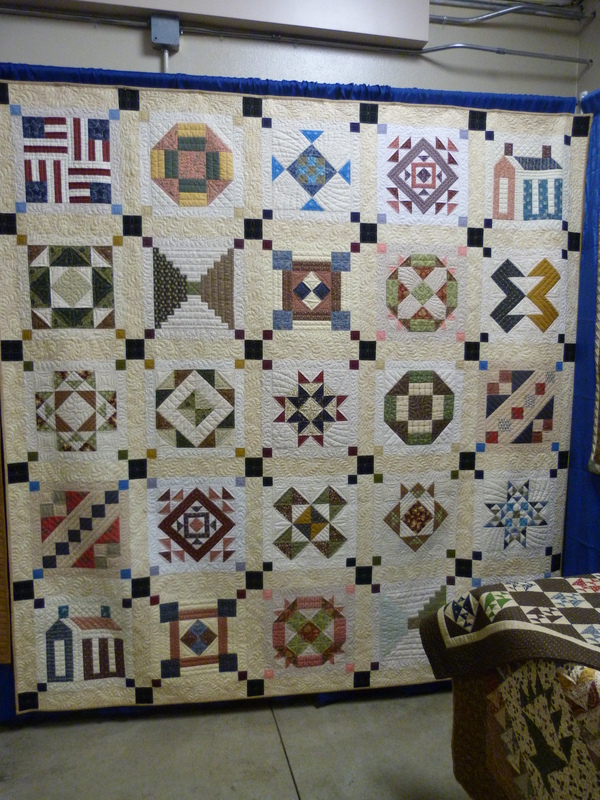 Our annual quilt show always has a great variety of quilts, ranging from traditional to contemporary and encompassing many techniques. 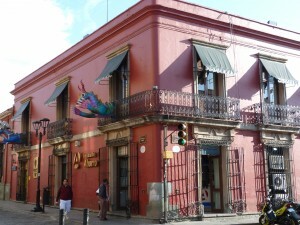 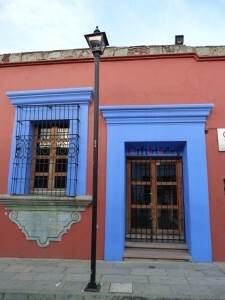 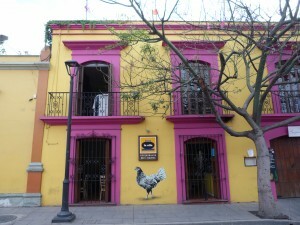 This year there were over 200 entries. 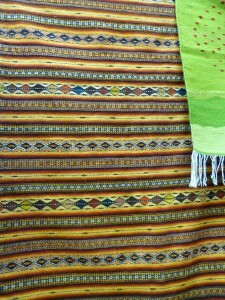 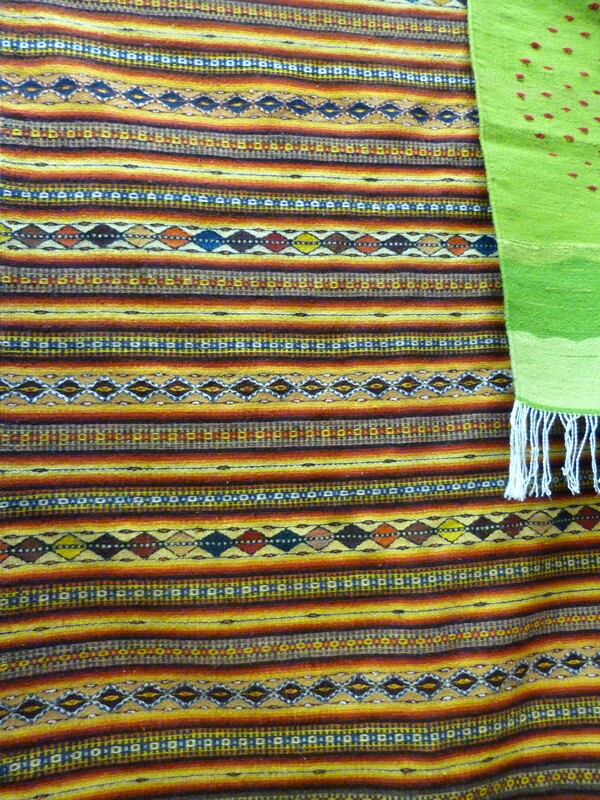 On the left is Desert Knock Off pieced by Honora Dunkak and machine quilted by Marybeth O’Halloran. 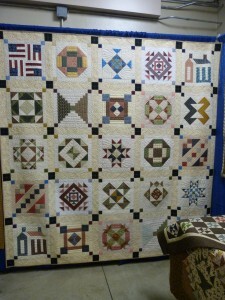 The quilt pattern is by Valori Wells. 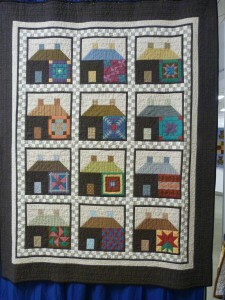 This quilt won first place in the Large Pieced Group category. Chromatic Hex Flowers, pieced by Marybeth O’Halloran and Jenn Rhoads and machine quilted by Marybeth was inspired by the Hexie Garden pattern by Atkinson Designs. Both of these quilts have a fresh, modern look and the colors really pop against the white backgrounds. 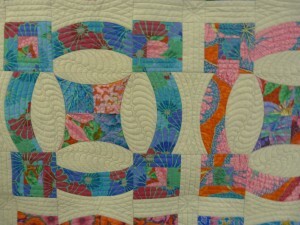 Here’s another stunning quilt on a light background. Metro Scope in Kaffes, was pieced and machine quilted by Marybeth O’Halloran. 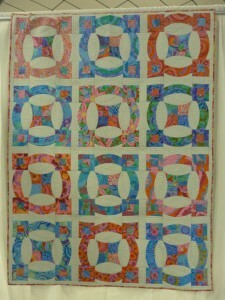 The pattern is Metro Scope by Sew Kind of Wonderful. 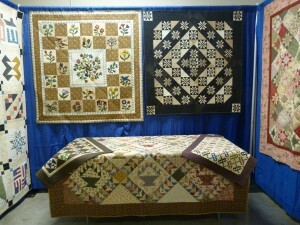 Check out the beautiful quilting especially in those oval white pieces. 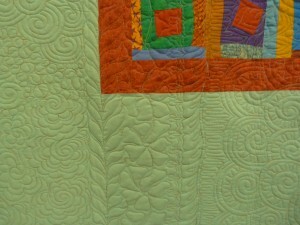 Marybeth works magic with her long-arm machine. 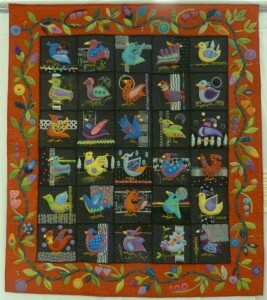 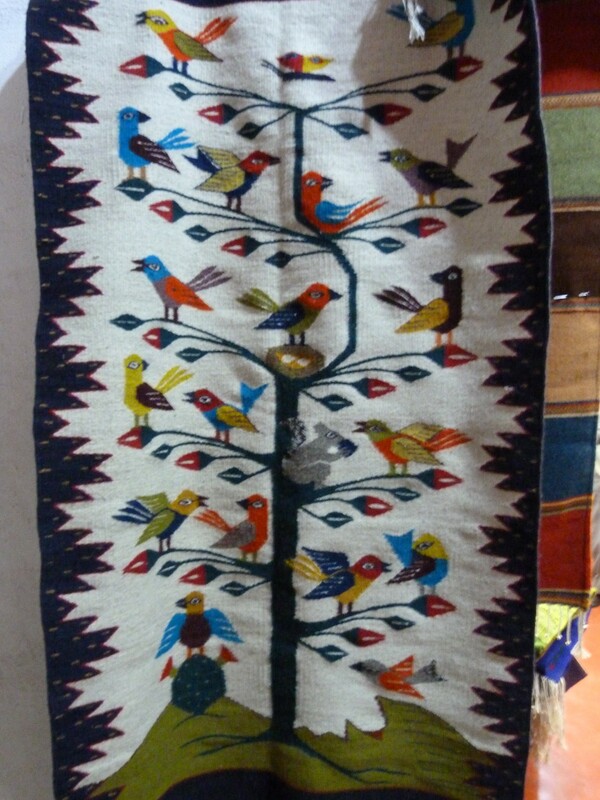 Birds on Steroids was hand appliqued using wool and a variety of embellishments, embroidered, machine pieced and quilted by Carol Olsen. 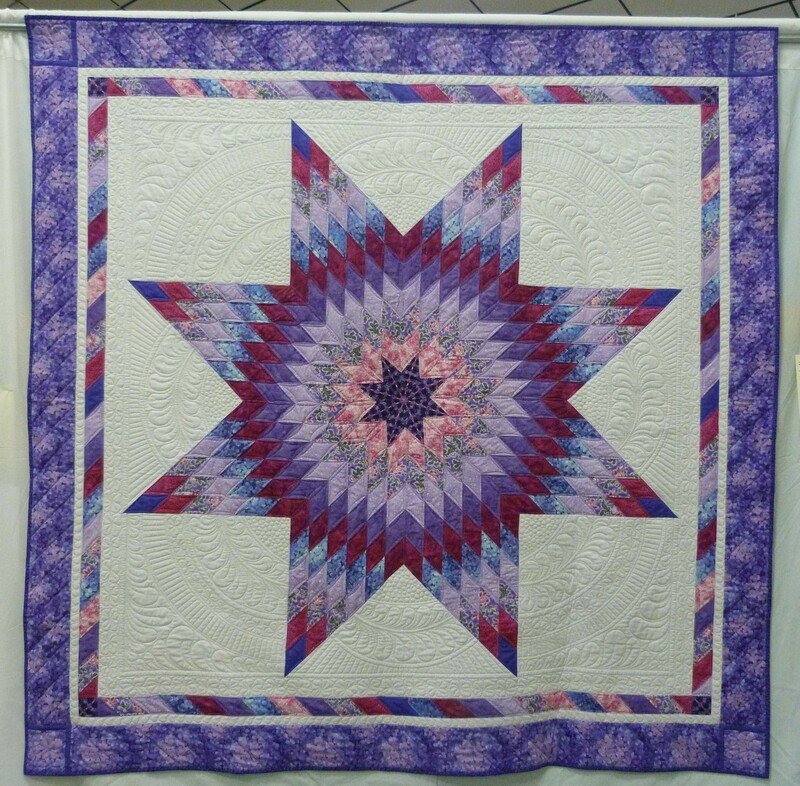 It took her over a year to complete while she was recovering from back surgery. 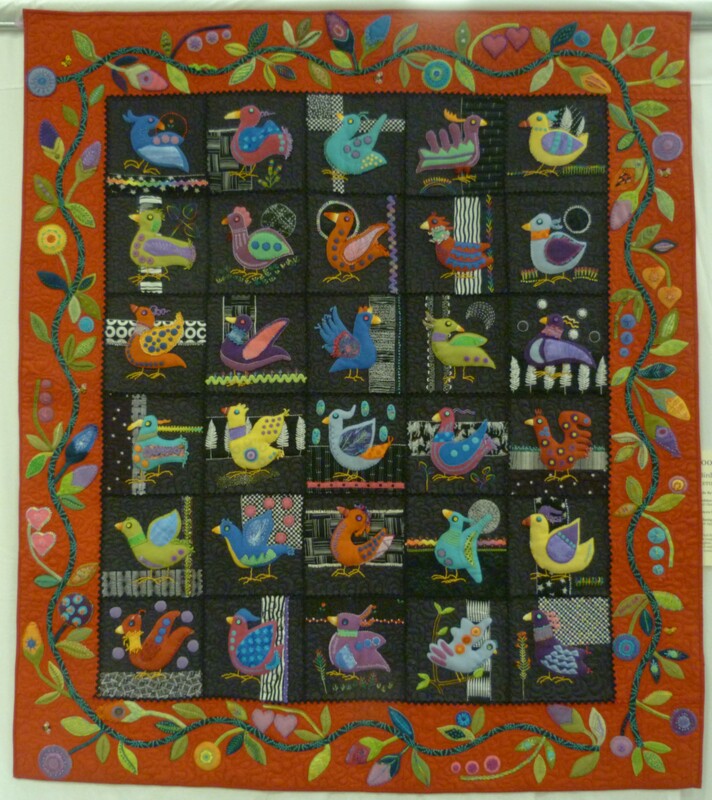 These are such whimsical delightful birds and the attention to detail makes this a magnificent quilt.The pattern is Bird Dance by Sue Spargo. Carol is teaching a class on this at the quilt shop in Port Gamble, Quilted Strait. 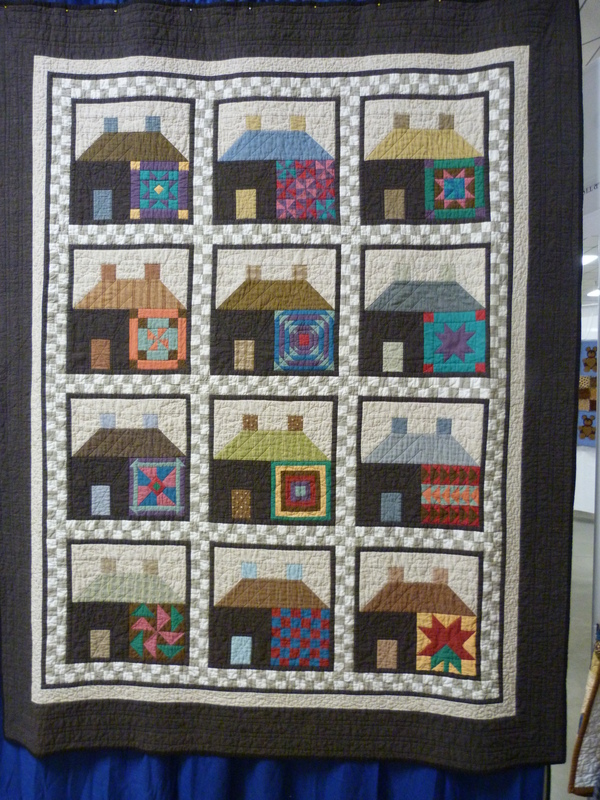 Gladys Schulz and friends made the Log Cabin blocks and Gladys assembled them and machine quilted this Log Cabin Sampler. 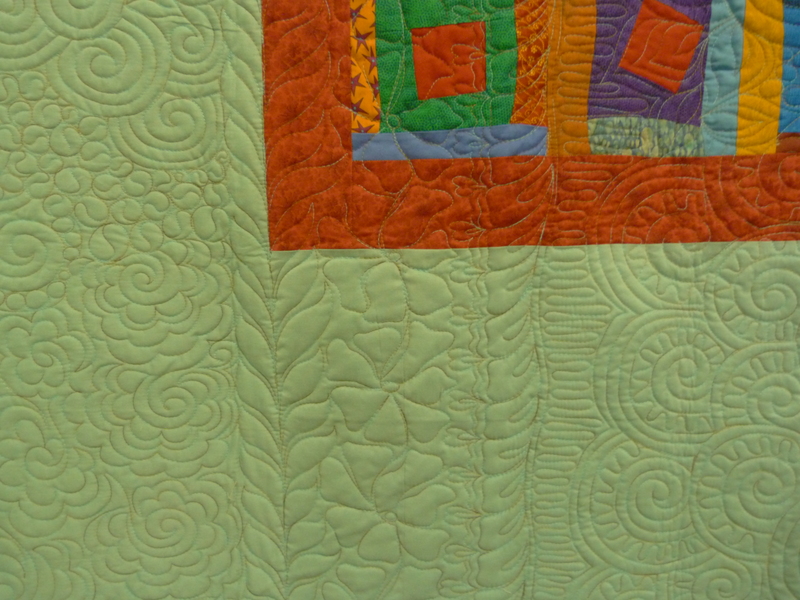 I love the creative way that Gladys has set these Log Cabin blocks and the wonderful sampling of quilting patterns really enhances the piece. 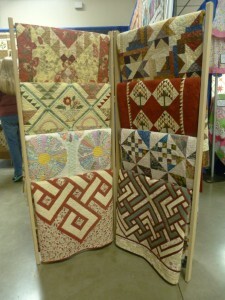 These last two are the quilts that I entered into the show. 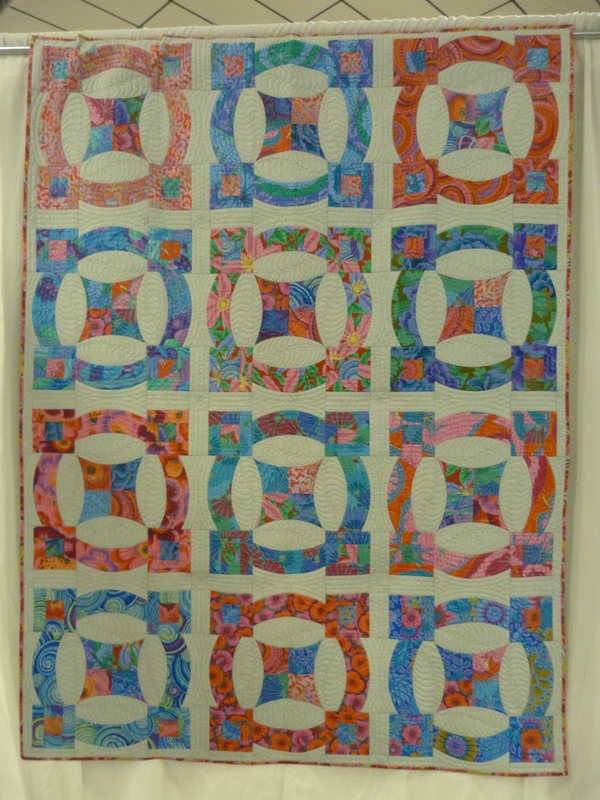 My Original Octangles won first place in the Innovative Art category. Heather and Jeff’s Star, made as a wedding gift, took second place in the Large Pieced Group category. 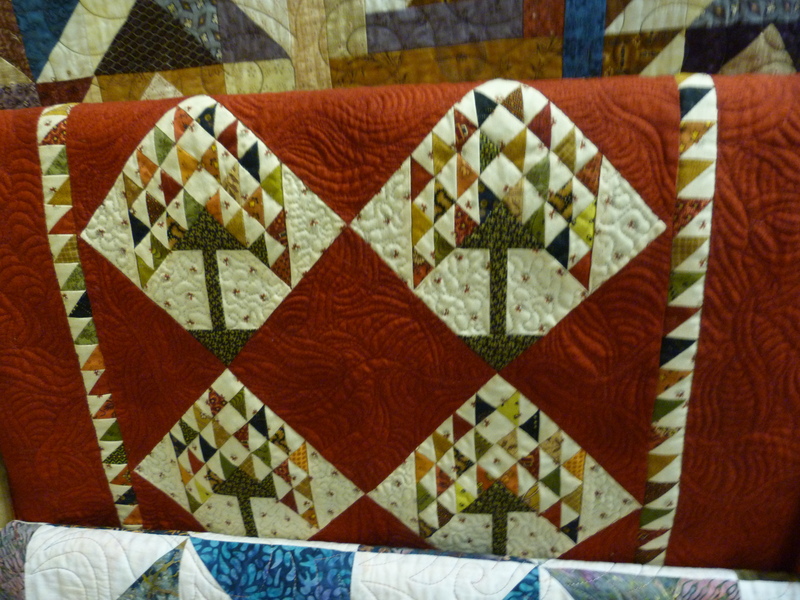 Both quilts were machine quilted by Wanda Rains. 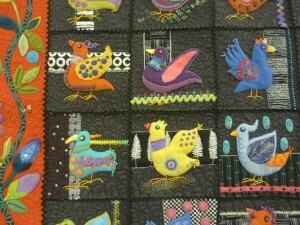 More on these two in upcoming blogs. 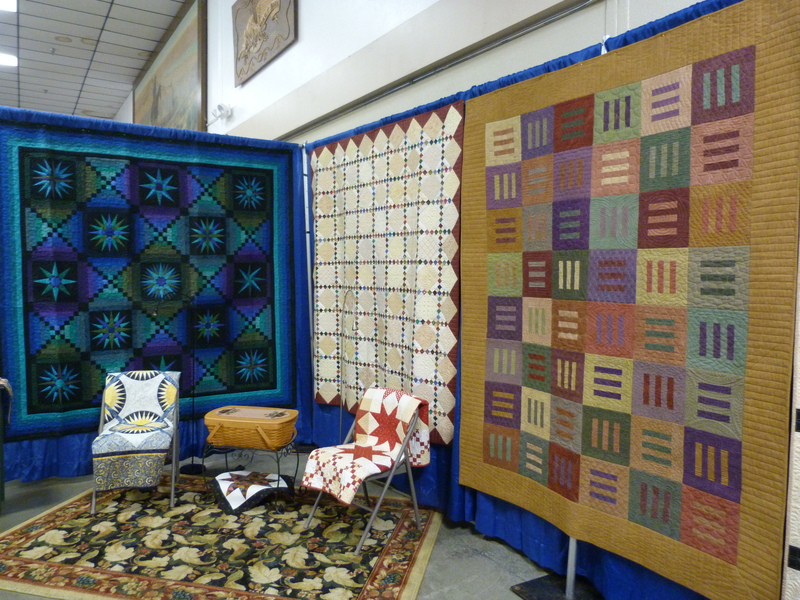 My local quilt guild, Kitsap Quilters’ Guild, held their annual show this Friday and Saturday at the Kitsap Fairgrounds in Silverdale. The show featured over 200 entries from our members, and a special exhibit show casing the work of guild member Jaxine Anderson. 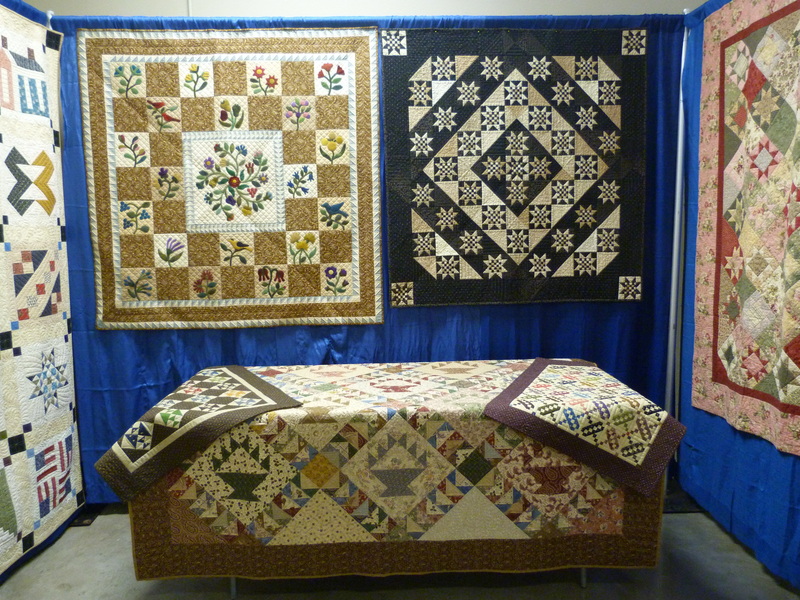 Here’s a tour of Jaxine’s lovely display. 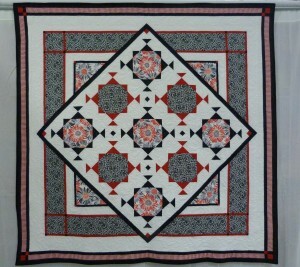 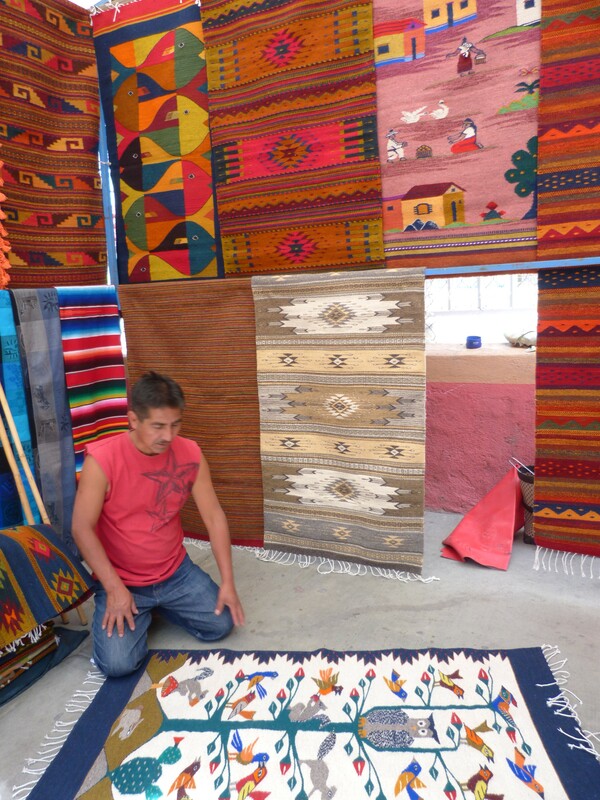 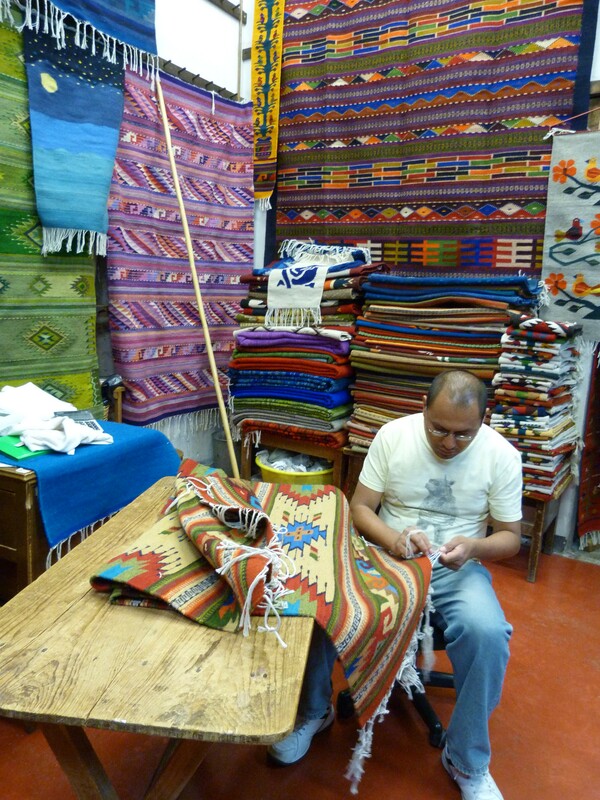 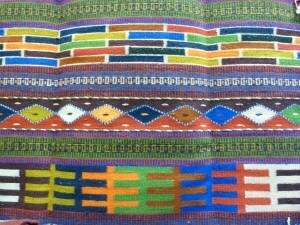 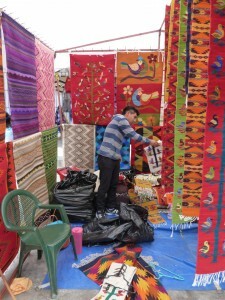 Jaxine is a traditional quilter. Her work is predominantly pieced, but you’ll spy a small amount of applique too. 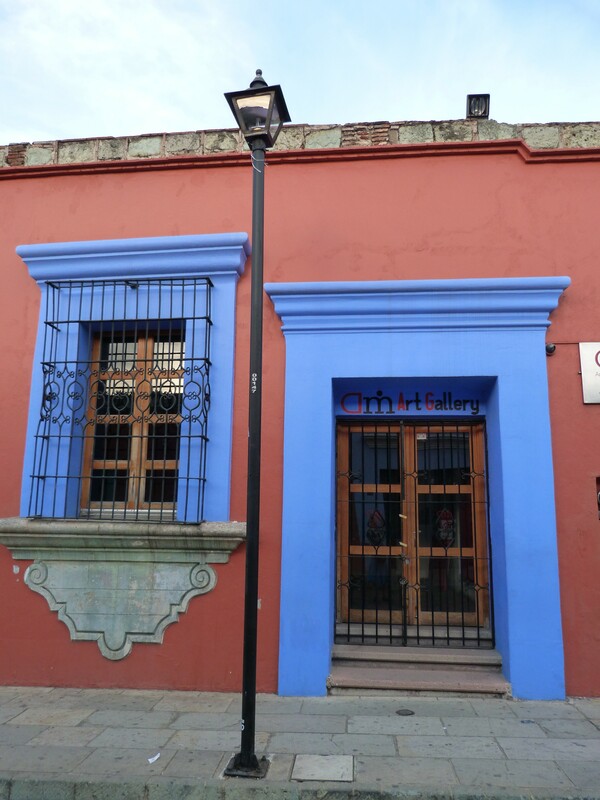 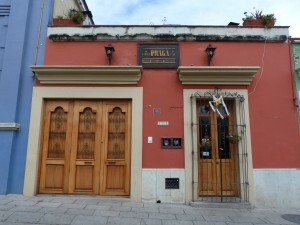 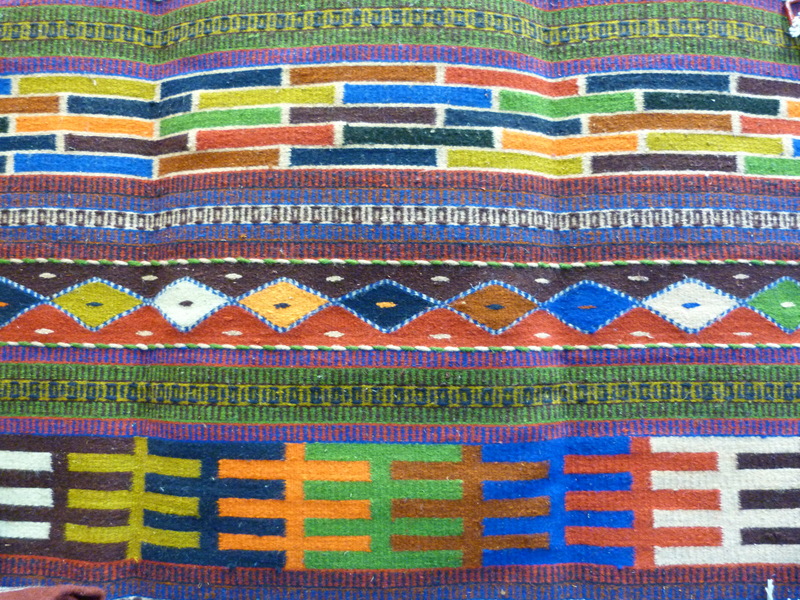 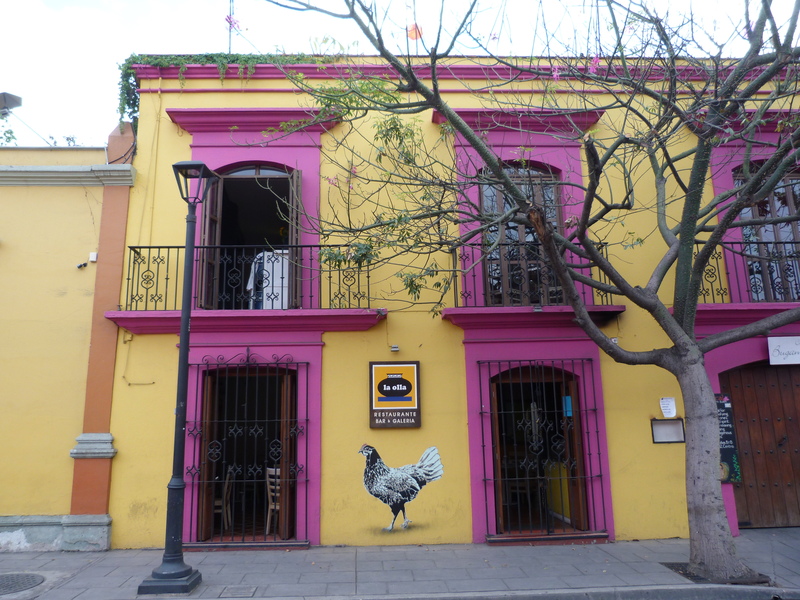 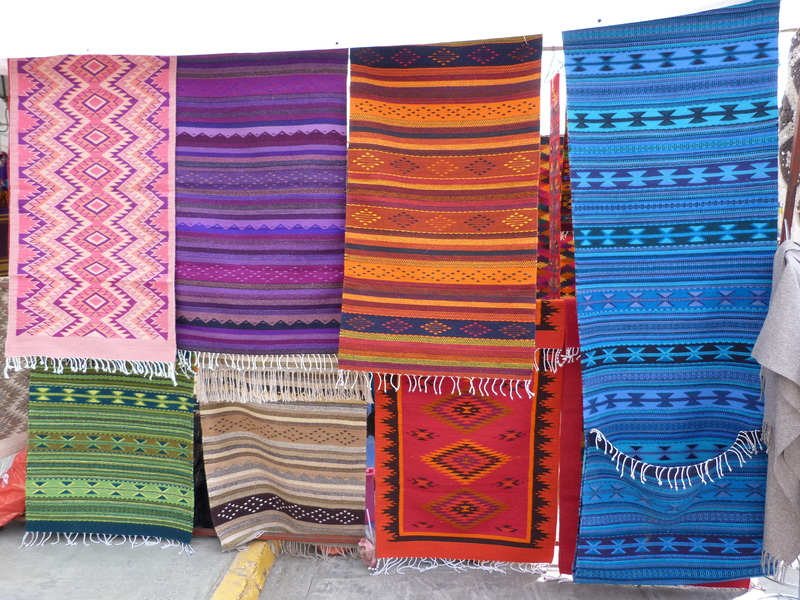 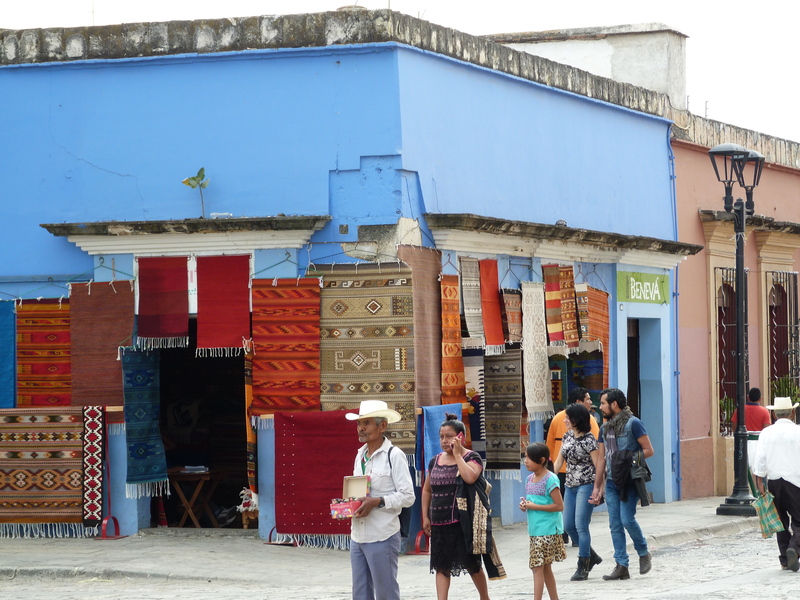 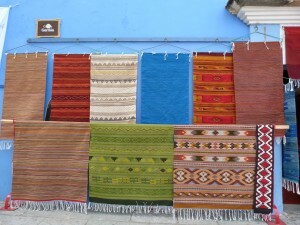 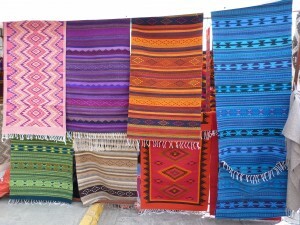 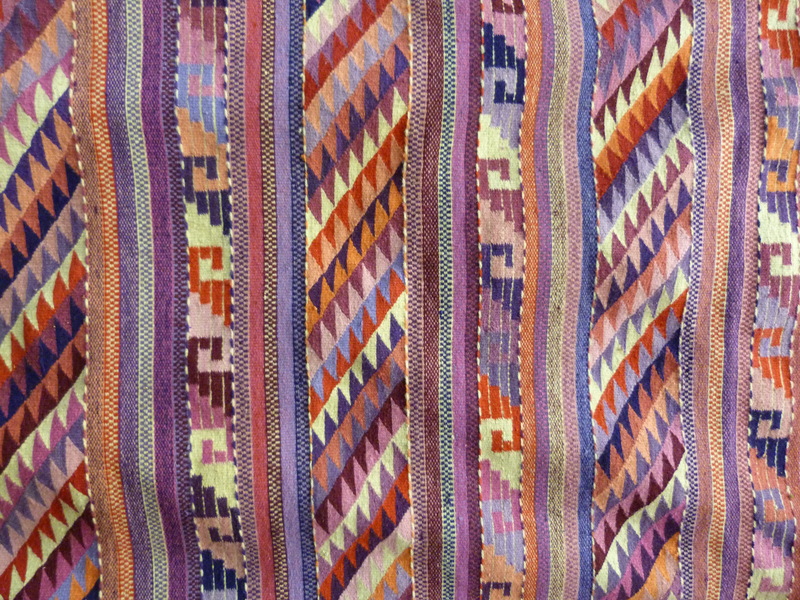 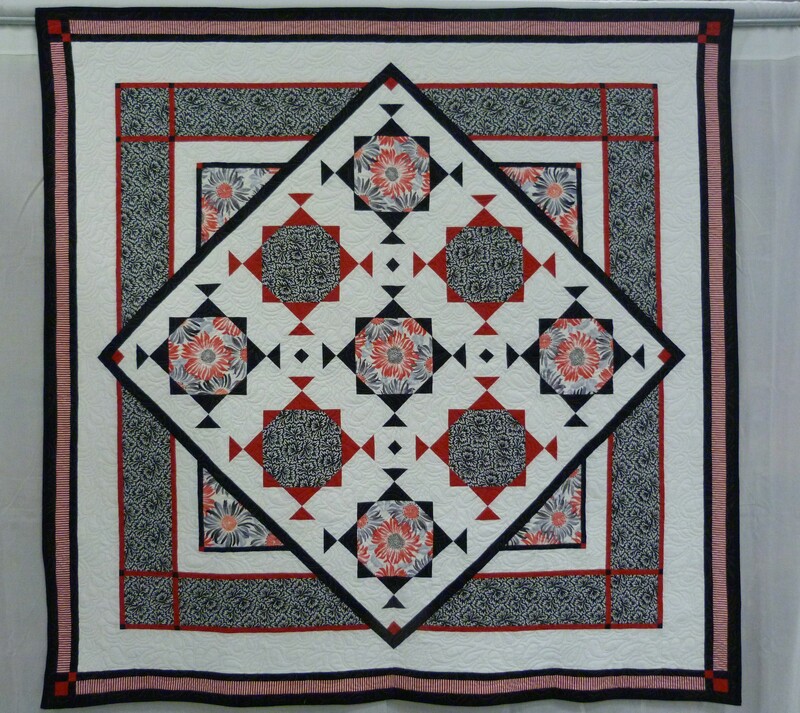 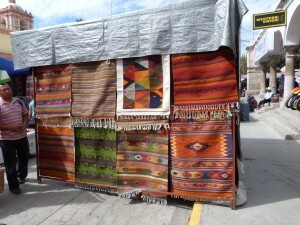 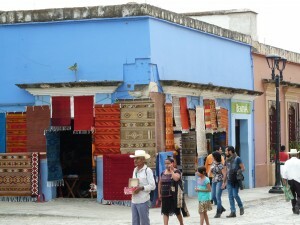 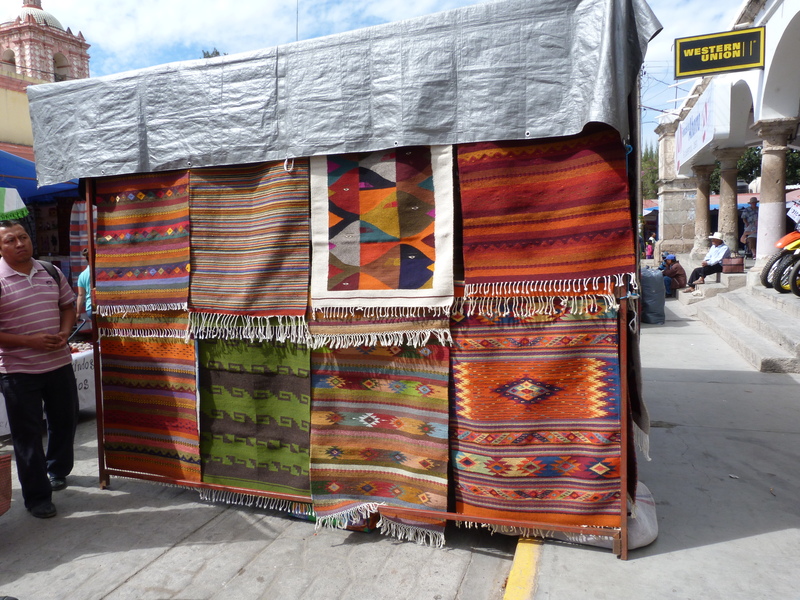 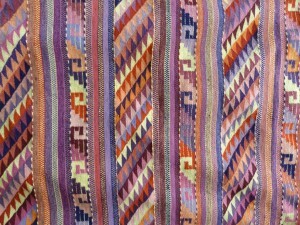 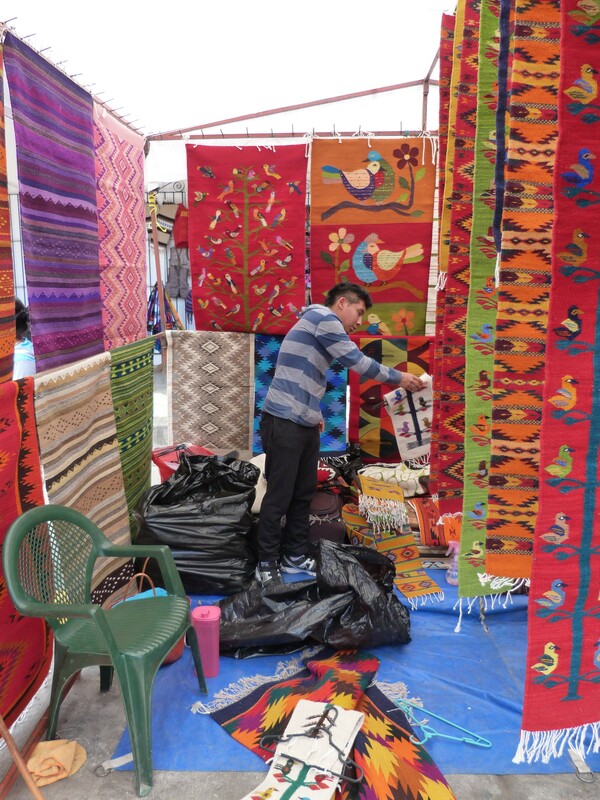 She began quilting in 1989, after spending many prior years doing a variety of handwork. 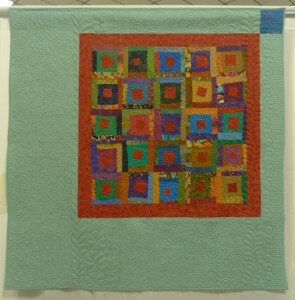 A co-worker introduced her to quilting and her first project was a wall hanging using a Debbie Mumm pattern. 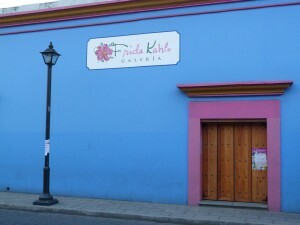 Then she began taking classes at a local fabric store and became hooked. 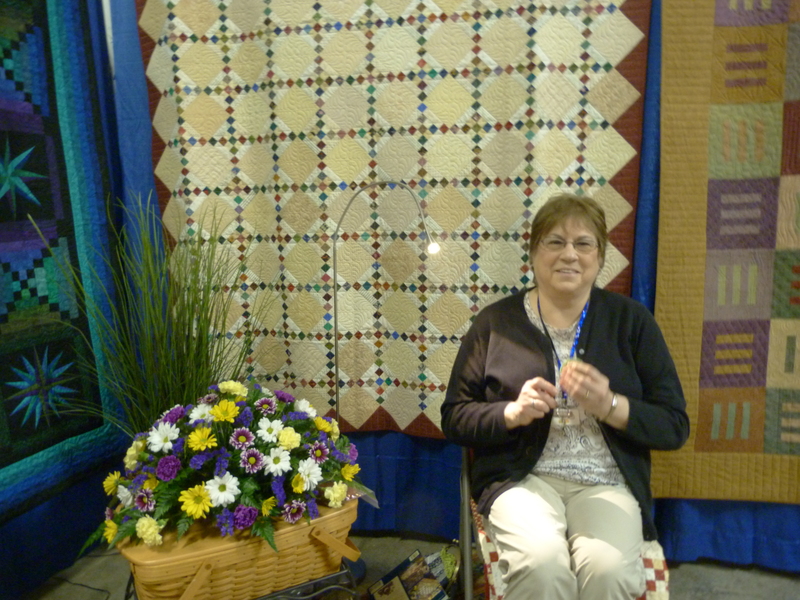 After retiring from teaching elementary school, Jaxine owned a quilt shop for 10 years in Juneau, Alaska. 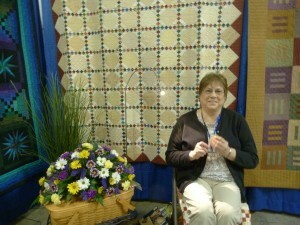 In 2007, she sold the store and moved to Poulsbo when she became active in our guild. 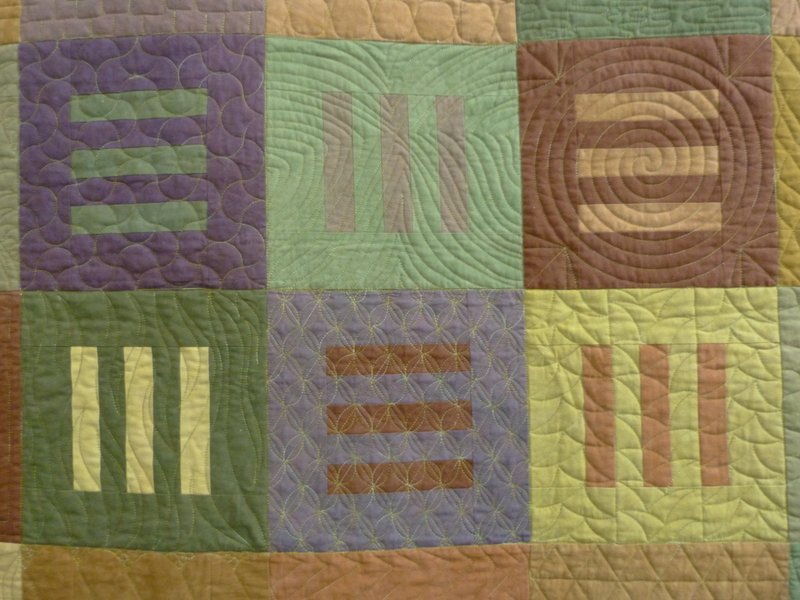 The quilt with the bars, a more contemporary design, was quilted by Marybeth O’Halloran with a different quilting design in each block. You get the gist of this wonderful quilting sampler from the detailed shot. 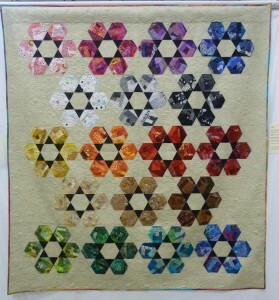 Thank you Jaxine, for sharing your beautiful quilts.